When entering your business tell your customers about the Express your Inner Elfie Campaign and encourage them to take part and download the app ‘Go Bournemouth Coast’ there and then. Let them know that the app is for people of all ages. Show them poster and point the marker out to them. Instruct them to scan the marker with their phone once they have the camera feature open on the app. 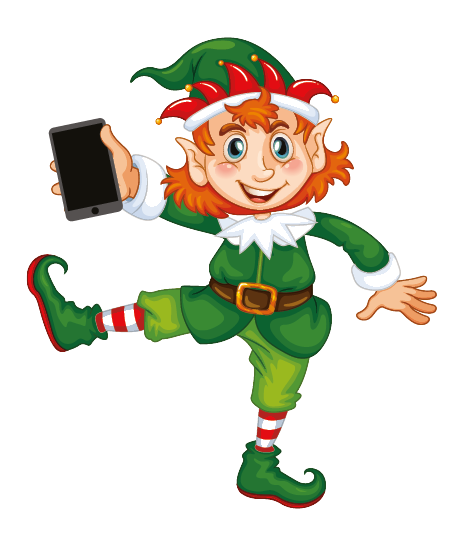 Then the virtual elf should appear on the phone screen and it’s time for the customer/s to stand next to the elf and take their photos! They can re position and resize the elf by using two fingers on the screen. Ask them to share on Facebook or Twitter with #Takeanelfie in order to be entered into the prize draw! Even better – Ask them to ‘check in’ to you business on Facebook for great business exposure! Copyright Coastal BID 2015, All rights reserved. With Love Keeping&Co.